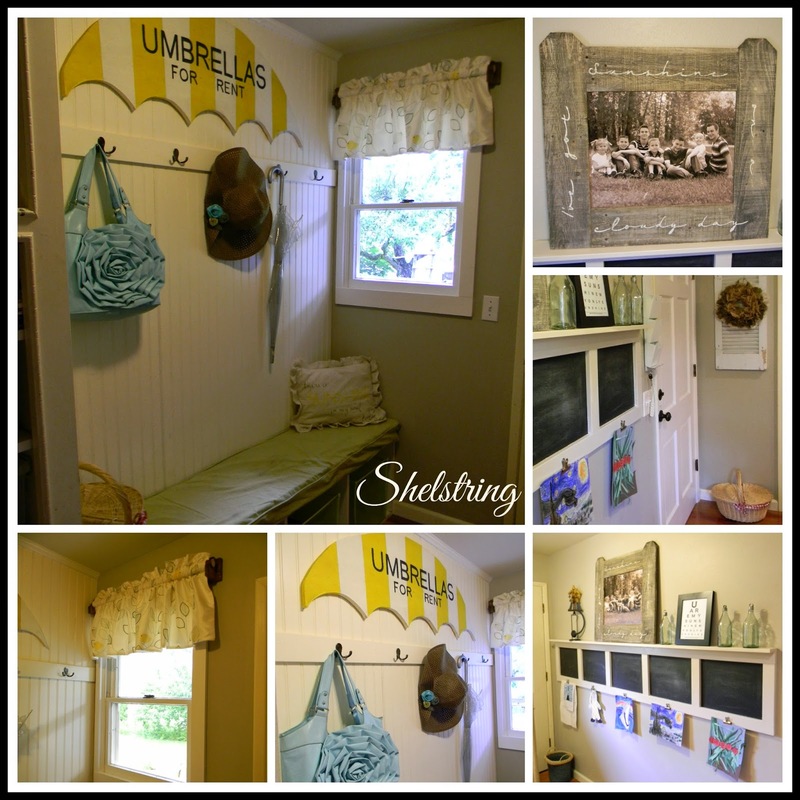 I know it is long overdue to share my mudroom with you, since it was clear back last fall when I promised the big reveal, but I am just finally finished and ready to share the results of my labors with you today. I know you were just waiting with bated breath and will be heaving a sigh of relief. I've been really good at being on the run these days and so am pretty thrilled about being able to actually share something with you that I've completed. It makes me feel like I've actually accomplished something. You know, a word I'm not real familiar with lately. Anyway, I don't want to delay any further, so let's get started, shall we?! 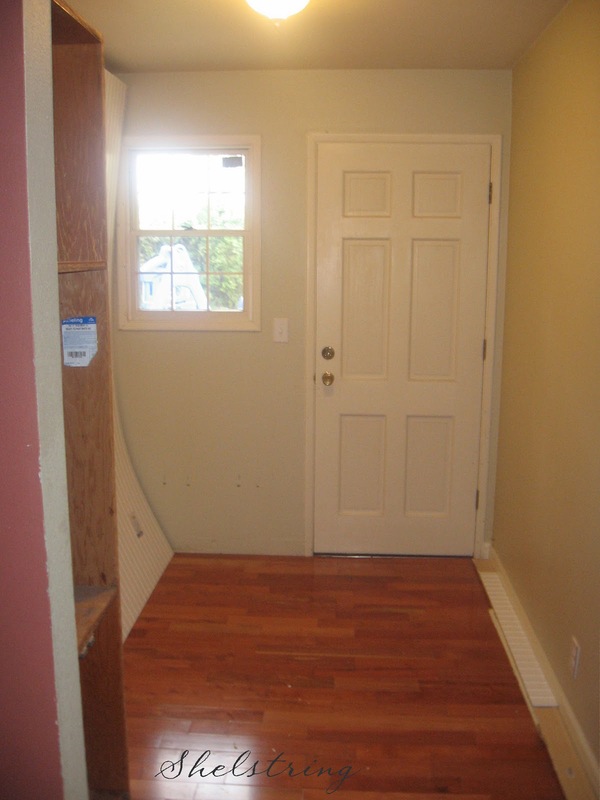 When we first moved into our house there was another 2 feet in the mudroom. The room right next to it is the kitchen, so when we were renovating the kitchen we decided to take the wall out and move it as close to the window as possible to give that extra space to the kitchen. 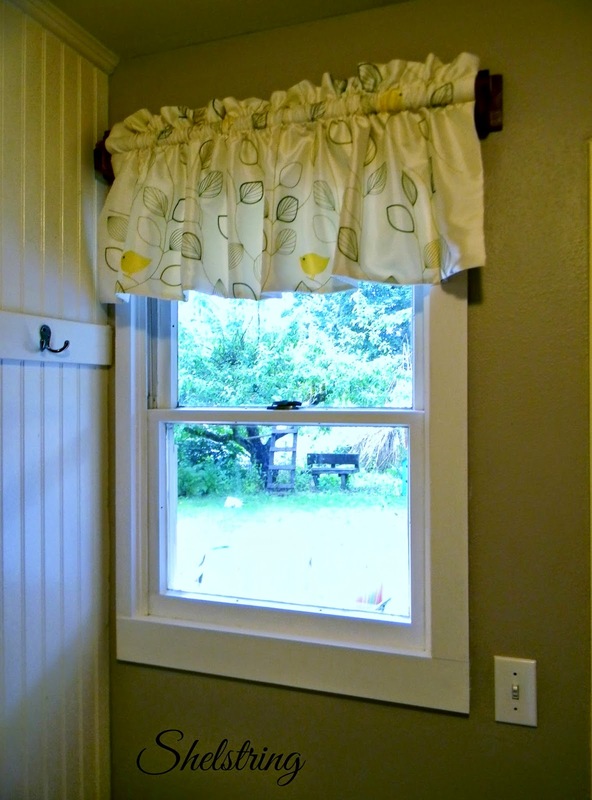 We have been very happy with this decision, even though it created a challenge with the window in the mudroom. 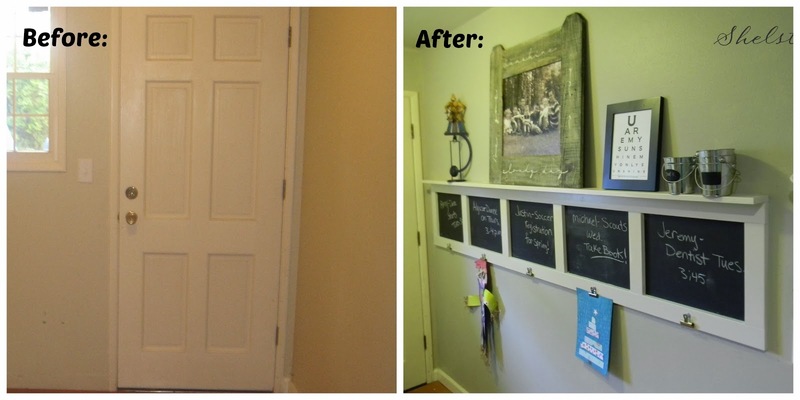 I know how fortunate we are to have a mudroom since we have owned two other houses that didn't have this luxury, so I knew immediately how I wanted to utilize this space. Having a blank slate gave me ability to let my creativity flow. I know it isn't anything out of the ordinary, but the first thing I did was take an old cabinet from our kitchen and move it into the space. It was a microwave, oven, and cupboard combination and the only cabinet we didn't sell. I knew it would provide the perfect storage, I just didn't realize how much! 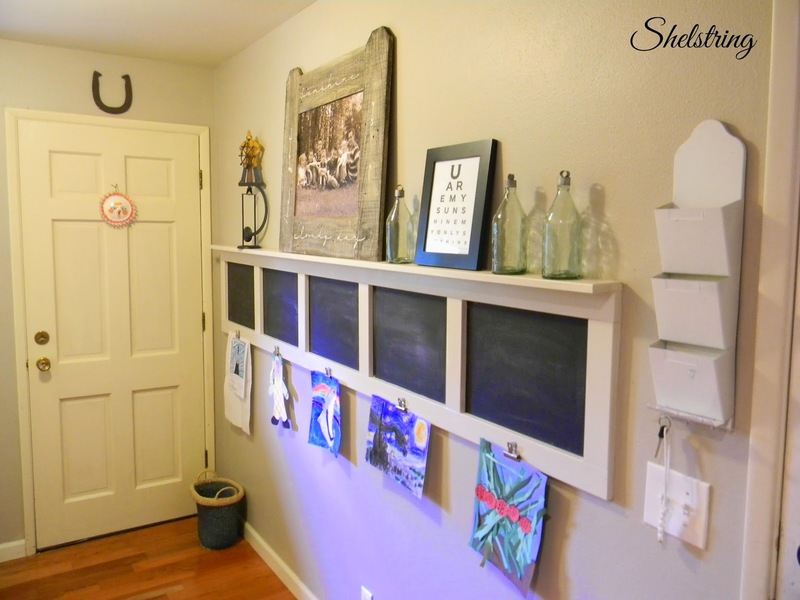 That old cabinet has a variety of sized snap totes to store things like aprons, watercolors, refridgerator alphabet magnets, bubbles, playdough, sidewalk chalk, coloring and workbooks, and cat supplies, with plenty of room to spare. 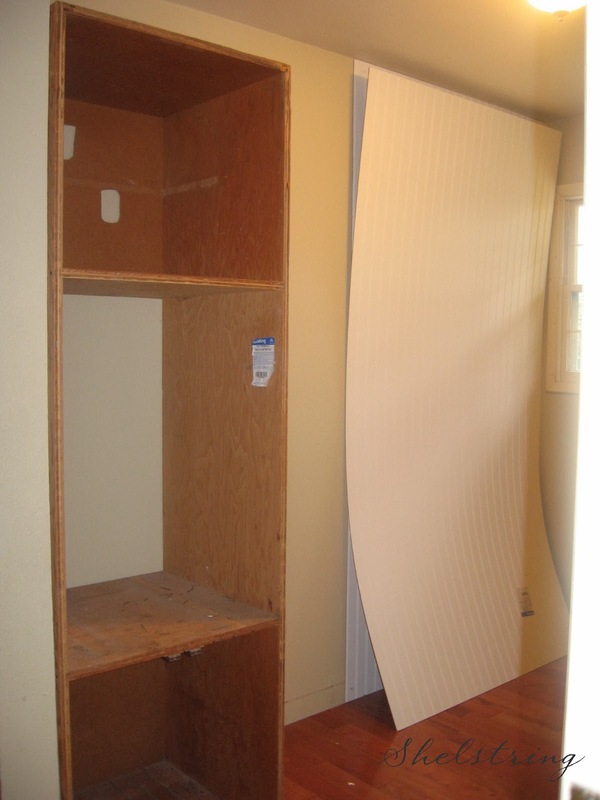 The first thing I installed was beadboard and then a bench with cubbies for the many shoes and equipment I knew would pile up and need a place to be. I then added a board for hooks to hang whatever is needed for the season. I wanted a little padding to sit on when taking off and puting on shoes. So I made this pad using colored canvas and foam from JoAnne fabrics. I made cusom piping using the same colored canvas for a finished look. It's a little looser than I like, so I will be adding a little batting in the near future. and for the sunshine pillow click HERE. The next wall was finally completed last fall. It was my back to school project. There are a few versions of this on Pinterest, you can find the one I used as a model HERE, I just modified it for our use. It has been a great place to display the children's artwork, jot down reminders, and keep schedules straight. The metal file hanger I found at a yard sale for $1. I immediately spray painted it white and have yet to completely finish it to fit my vision, but it has been a great place to hang keys and leave items that are outgoing. the You are My sunshine eye chart was found HERE. we are enjoying our finished space. 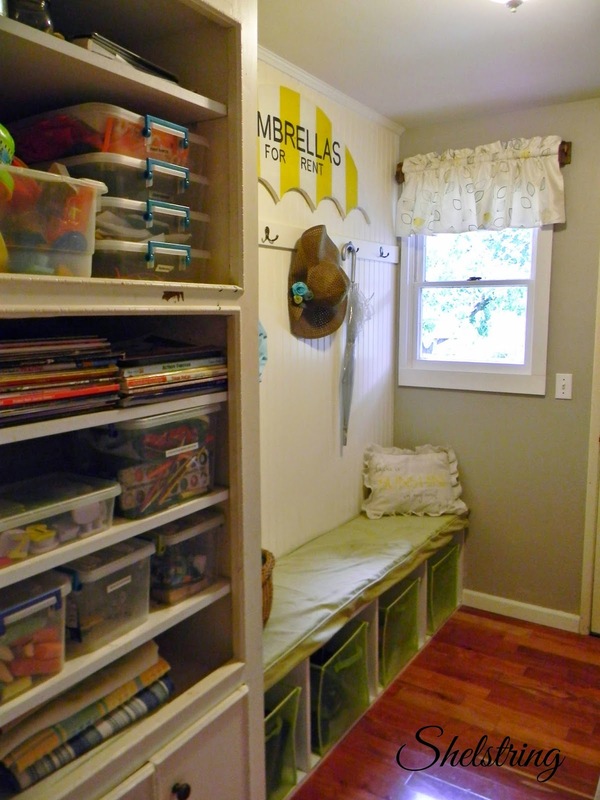 Such a great space and you have so much built in storage! Smart idea! Thanks for sharing at Home Sweet Home! Cute! And I'm in love with the umbrella! This is so gorgeous! LOVE the reveal!